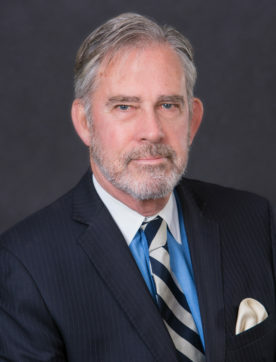 Bruce M. Bounds has extensive experience representing and advising financial institutions, including banks, non-bank lenders, and ancillary service providers such as loan servicers as well as collection agencies, in corporate and transactional matters, regulatory loan documentation, licensing and compliance and litigation. The range of services he offers include analysis and implementation of business formation, governance, and operations strategies; contract review, negotiation and drafting; analysis and structuring of loan and other business ventures; and representation of buyers or sellers and lenders and borrowers in merger, acquisition, sales and loan transactions. He is well versed in a wide range of financial matters, including federal and state regulatory compliance; examinations; compliance agreements; and customer rights and privacy. Mr. Bounds provides his clients with services tailored to meet their individual needs, based on their particular circumstances, in an accessible, cost-effective manner. Click here for Bruce vCard. Bruce M. Bounds is rated “AV” by Martindale-Hubbell, the highest rating available. The “AV” rating identifies a lawyer with very high to preeminent legal ability. It is a reflection of expertise, experience integrity and overall professional excellence.